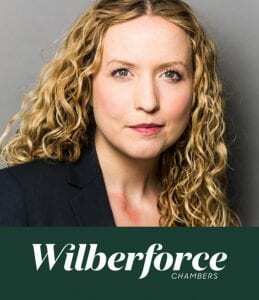 In this barrister case study, we caught up with experienced Commercial Chancery Barrister, Emer Murphy, at the prestigious Wilberforce Chambers to uncover the motivation behind her decision to become a barrister. Emer talks openly to The Lawyer Portal about how she successfully secured a pupillage at Wilberforce along with her top tips for budding pupils making similar applications. What made you want to be a commercial chancery barrister? I enjoyed my law degree, in particular the analytical, reasoning aspects. As a barrister, you use those skills every day. In terms of commercial chancery as a practice area, that was somewhat of a process of elimination. I knew I did not want to do family, criminal or personal injury law so that left commercial or chancery. A series of mini pupillages helped me make up my mind. How did you secure a tenancy at Wilberforce Chambers? I carried out a 12 month pupillage. To secure pupillage, I worked hard during my degree, did some mooting and completed several mini pupillages in relevant practice areas. I also completed a (non-assessed) mini pupillage at Wilberforce. What would be your top 5 tips for securing a pupillage? Work hard at the academics. Intelligence will be the first thing chambers are looking for. The best way to demonstrate intelligence is good results. Make sure you do some mooting. Other public speaking is also good, but mooting is preferred. It does not need to be a very impressive mooting competition but make sure you do some. Mooting will also help you suss out whether the job is really for you, and will help you prove that you are serious about the Bar. Do mini pupillages. There is no magic number to do, but I did 4-5 in my current practice area. By all means, do more in other practice areas if you wish, but there is no need to put those down on your application. Make sure you work out as much as you can about each set of chambers you apply to. For sets that appear to have a very wide practice area, try to work out what they are mainly listed as doing in the legal directories. Also, mini pupillages give you a real insight into a place. Prepare for the interview thoroughly. Many sets will explain the format of the interview in advance so you can tailor your preparation. Make sure you can talk about all the things on your CV with ease. Try to have some prepared answers to the inevitable questions, for example, why do you want to be a barrister? Why this practice area? Why this set? 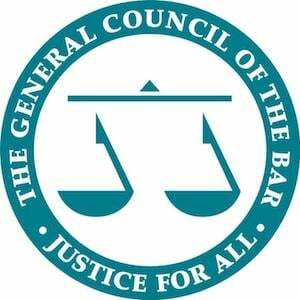 What are the best parts of being a commercial chancery barrister? You are constantly being challenged and learning. This is also the worst bit of it sometimes! Going to court is also great fun. What are the most challenging parts of being a barrister? There can sometimes be an awful lot to do in a short period with deadlines that cannot be moved, so at times, work/life balance is poor. You have to have confidence in your arguments and in your advice, because they will be challenged. What skills do you need to become a successful barrister? Read another barrister case study from Fulcrum Chambers. Register your interest in BPTC Mentoring with The Lawyer Portal!